The Bulldog Extreme Assault weapon case is an awesome value. It retails for $45.00 but I bought this one for $37.00 plus shipping. It comes in OD and Black. This one is OD. The Bulldog Extreme tactical case is made from super tough nylon fabric which is water-proof. Everything is double stitched for added strength. The zipper is heavy duty and double stitched. There are 4 Velcro exterior magazine pouches and a zippered exterior pocket. 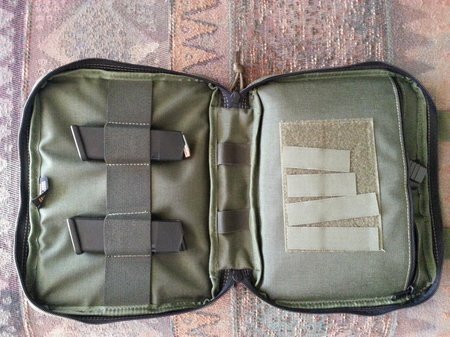 This case is thickly padded to protect your weapon from bumps, drops and falls. The case even floats. The inside is soft brushed tricot lined. There are 2 heavy duty handles and a shoulder strap. I have had 2 of these cases and I have to say they are tough and last even with abuse. I had one for 3 years and it still looked like new when I let it go with my Stag Arms 2T. I just bought another for my Hi Point 4095 TS. I bought the 35″ assault case. 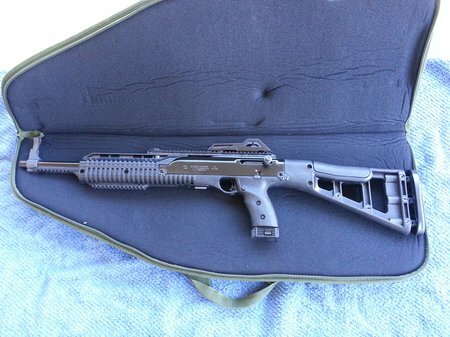 The Hi Point 4095 is only 32″ long. I have to say the Hi Point 4095 is a fantastic weapon. 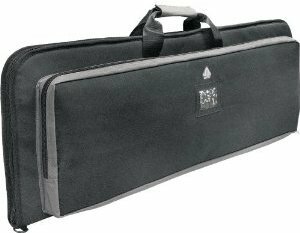 I give the Bulldog Extreme Tactical rifle case 5 stars. It’s well made, tough, has 4 magazine pouches and a zippered pocket, well padded and floats. I’m not sure what else I would want in a black rifle case for my needs. It’s perfect for the Hi Point 4095. 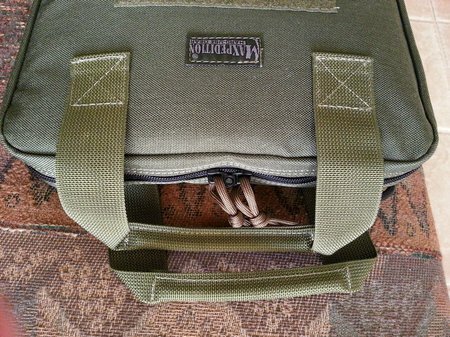 Maxpedition makes some of the finest bags, gun cases and backpacks. They are well made and priced right. I recently bought the 8 x 10 pistol case/rug for my Glock 22. This is the 8″ x 10″ pistol case. There is a larger one that is 8″ x 12″ too. This case holds one pistol and up to 5 magazines. 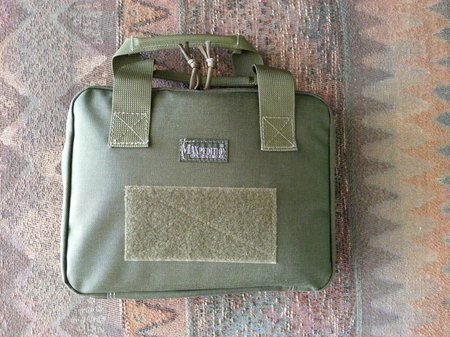 The Maxpedition case is made from 1000 Denier ballistic nylon fabric. It’s water and abrasion resistant. It has a Teflon fabric protector which makes it resistant to dirt, water, oils, etc. It’s very easy to clean when it gets dirty. Just wipe is off with a damp rag. I like things that are easy to clean. The zippers are heavy duty and lockable. I have a small padlock that I use to lock this case. The case is stitched with high tensile strength composite thread. This is much stronger than ordinary nylon thread. This case or rug is almost bullet proof. 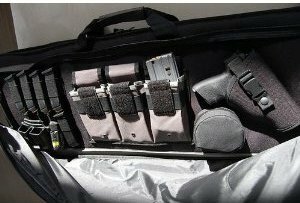 On the right is a padded and zippered compartment to hold one pistol. My Glock fits perfectly. The padding protects it from the elements, bumps or a drop. 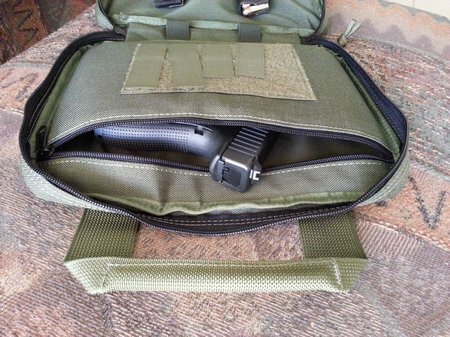 The opposite side has 5 elastic retention loops for magazines, flashlights, multi-tools, knives, etc. The handles are made from tough 1.5″ webbing. They are over kill for this small pistol rug but guarantee non-breakage. The handles are comfortable and well made. 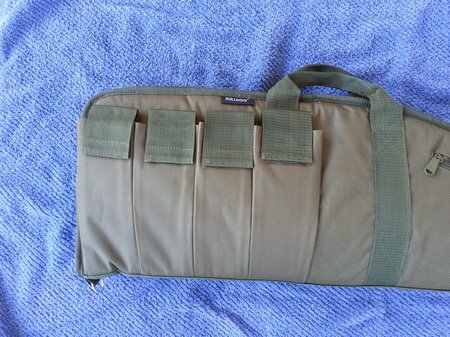 The Maxpedition Pistol Case/Rug is an excellent tactical case for a side arm. I give it 5 stars. I could not find anything I did not like about this case. It satisfies all of my tactical needs and at a good price. For about $35, you just cannot go wrong. If you’re looking for the best assault rifle case for your AR-15, AK-47 or VEPR 12 then take a close look at the Galati XT premium gun case. 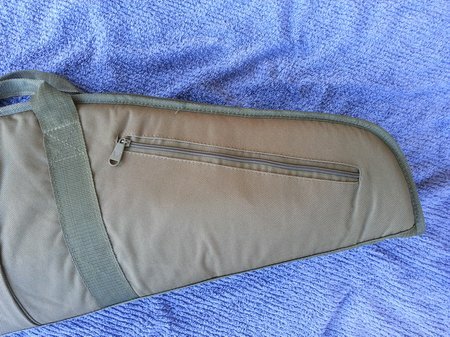 This is a soft gun case made from ballistic nylon. The XT assault gun case is said to be the toughest in the industry and will float with one assault rifle inside. 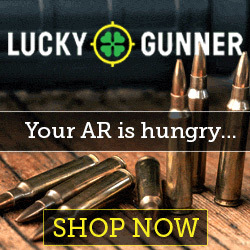 There are 4 magazine pouches to secure 30 round magazines. The zippers are YKK and the absolute best. It measures 37″ x 12″ x 2.5? but comes in different sizes for different weapons. 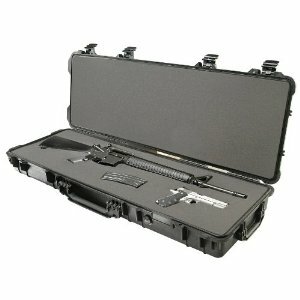 Here is a really nice assault/tactical gun case from UTG. It’s their Covert Homeland Security Gun Case. 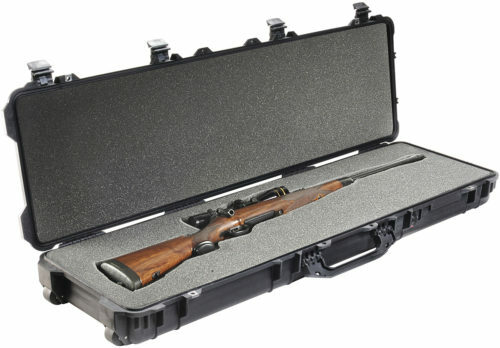 It can store 2 rifles in this 36″ x 12″ padded case. 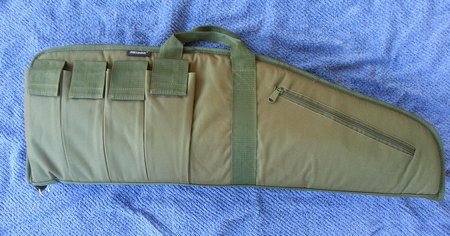 There is a huge 36″ x 12″ pocket with Velcro closure plus 3 rifle magazine pouches. This case has tons of space for storing everything you need. The case is made from a durable polyester fabric. 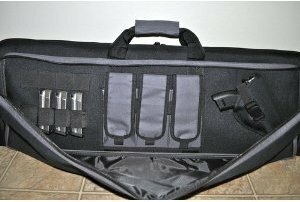 The UTG Covert Homeland Security Gun Case is perfect for an AR-15, M4, AK-47, Sig 556, etc. plus a handgun like a Glock, 1911 or XDm. 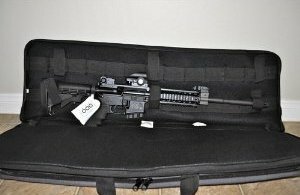 The Pelican 1720 Assault Rifle case is the top of the line protection for your AR-15 rifle. These cases are super tough and indestructible. Don’t settle for less. All Pelican cases get nothing but great reviews. These cases are simply the best there are. If you want the best then get a Pelican Case.